Krista Lynne Jensen: May... Work It. 1) Regional and State track meet for daughter #1. 2) Piano Recital for Son #1. 3) Baseball for son #2. 4) Band Concert for son #2. 5) Spring Dance recital and Don Quixote Performance for daughter #2. 7) Babysitting all week. Baby loves puppy. Puppy doesn't love baby. Jealous much? 9) Son #1 diagnosed with Pectus carinatum. 10) Expensive operation to correct above will most likely be billed under "cosmetic". Insurance coverage looks bleak. 19) Tackling revisions of THE INN. I think it's a good month to channel tension into my scenes. Would you agree? 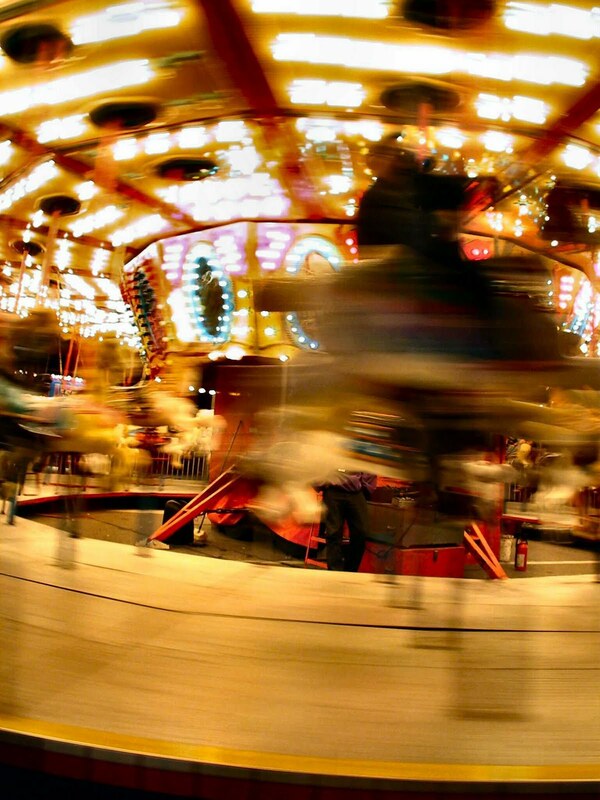 I am not sure which makes me more dizzy: The picture of the merry-go-round, or your list. May is worse than December I think! Good luck with all and especially your son's surgery. Cosmetic? If the insurance co. was a character in your book, you could kill him off. Baby steps...and lots of praying, right? I had to Google Pectus carinatum. I'm sorry for your son! But I'm sure things will work out. That's a crapload of stuff to deal with. Prayin' for you, Krista.